With the likes of Forza and Gran Turismo getting their share of stage time at the big E3 events, it can be easy to overlook some of the other options. 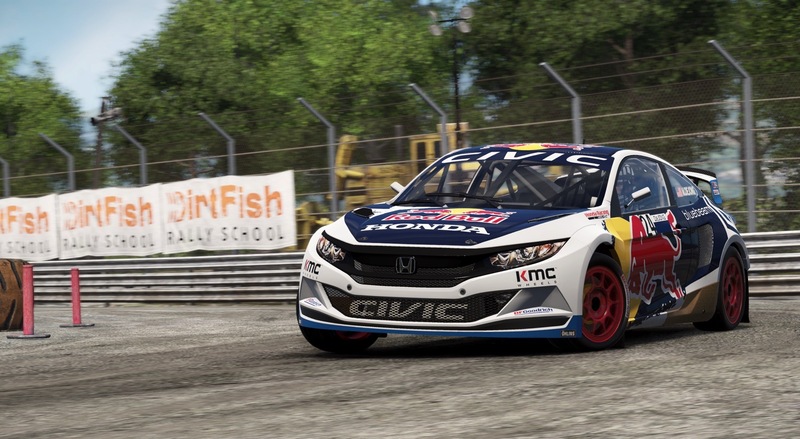 Bandai Namco and Slightly Mad Studios' Project Cars is one of those, and the second installment of the franchise is set to arrive September 22nd. The duo is showing off the hyper-realistic racing sim here at E3, and it didn't take long to get wrapped up in the tracks of Project Cars 2. The crowdfunded game centers on making the virtual-racing experience as real as possible. With a feature called LiveTrack 3.0, Project Cars 2 amps up the detail in a number of ways. Beyond just weather, ambient temperature, track temperature, altitude and other atmospheric conditions all have an impact your car's performance. We're talking things like engine performance, aerodynamics, brakes and tires. 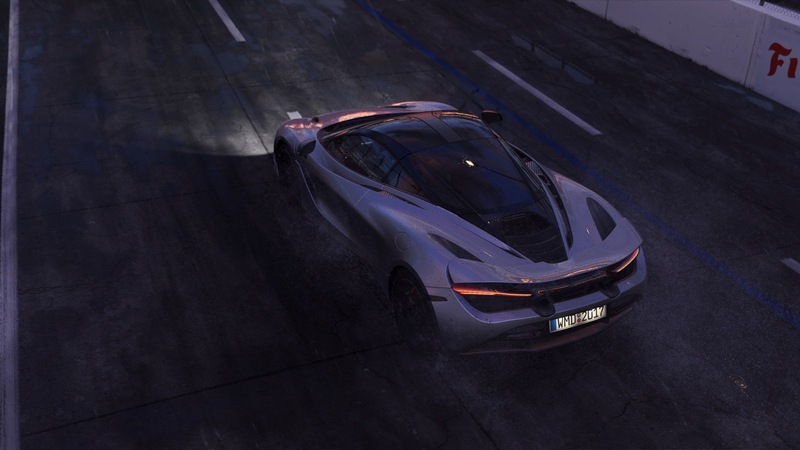 Project Cars 2 also employs fluid dynamics, so when you're driving in a rainstorm, the track conditions react more like they would in the real world. For example, if it's raining so hard that the ground can't absorb the water fast enough, it will pool, run downhill and create a tricky puddle situation. LiveTrack 3.0 also spreads loose dirt and gravel on the track when you run off-course, an addition that Slightly Mad Studios says makes this game even more like racing in real life. Based on my few minutes of play time, they're not overstating it. Here at E3, Bandai Namco is offering three very different demos of Project Cars 2 and I was able to test drive two of them. The first one I attempted was a Honda Civic rally car at Ioheac in France. You get a real sense for the level of detail of the game rounding tight turns and flinging dirt. It's also immediately apparent how sensitive the controls are in the game. My first few minutes behind the wheel of that Civic were not pretty, but I managed to improve (slightly) after some time. That being said, steering cars around the courses in this game is no easy feat. It's also not surprising, either, since Slightly Mad is including esports from the jump, so professional drivers will be able to literally get behind the wheel. This also means there's easy access to streaming tools and watching live games. The second demo I played was a McLaren 720S on the Bannochbrae road circuit that's set in Scotland. This is the course Slightly Mad built as part of a Project Cars DLC a while back, and it gives you the feel of zooming through the UK countryside. Again, steering here takes some skill, and I'll have to admit, I destroyed that luxury automobile pretty quickly. However, the visuals on this course are really good, and Project Cars 2 will join other driving games like Forza and Gran Turismo that will greatly benefit from 4K. I caught myself taking my eyes off the road a couple times to check out the views. Everything is so sharp and crisp, so you can see the level of detail that goes into these games even better. With Project Cars, Slightly Mad Studios surprised everyone with a racer that could compete with Forza and Gran Turismo on realism. With its sequel, the developer is doing it again. That's seriously impressive when you consider the budget and team size it's working with. The game is meant for a specific kind of racing fanatic, one who wants the utmost realism with how a car controls. If you're that sort of gearhead, there's a lot to like here -- just don't expect to take a hairpin turn first time in a Ferrari 488 GT3.